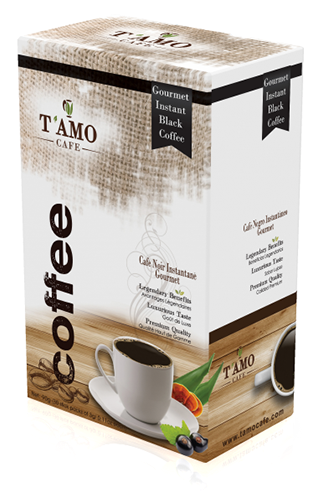 Introducing T’Amo Café Coffee with select super-ingredients. Aloe Vera, the Lily of the Desert, is combined with antioxidant rich Ganoderma for a power-packed healthy beverage sensation! 100% Arabica coffee, no sweeteners or creamers. Just pure, full-bodied coffee taste. Ignite your senses with the aroma of a smooth and delicious cup of Nuvia Trim coffee, made from the finest Sumatran Arabica coffee beans. 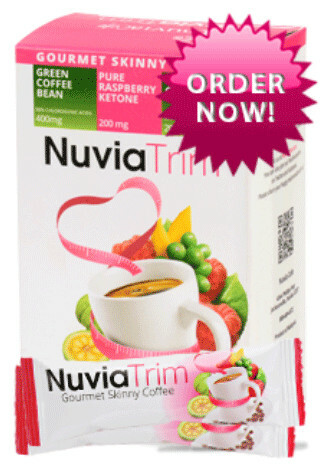 Roasted to perfection, NuviaTrim is a richly flavored coffee, containing powerful weight optimizing extracts of Green Coffee Bean, Garcinia Cambogia, Raspberry Ketones, Green Tea, Ganoderma and African Mango. Auto-ship is a convenient way to receive regular delivery of your favorite myEcon products. With auto-ship, you don't have to worry about running out of product or re-ordering each month. You simply select the products you want and they will be shipped to you automatically; monthly, bi-monthly or quarterly. How do I setup an Auto-ship order? From the product description page, simply check the "Auto-ship this item" box, and then click the ADD TO CART button. On the Shopping Cart Contents screen, you will see the selected product and quantity for "Order Now" and "Auto-ship". Ensure the selected products and quantities are correct; you may then click Continue Shopping or Checkout Now. Once you complete your shopping, simply click the Checkout Now button. Complete the Ship to Information page and click the Proceed button. On the Auto-ship Options page, select the frequency (monthly, bimonthly or quarterly) and the day of the month you want to start your auto-draft and have the products shipped to you. When will my credit card be charged for my Auto-ship order? Your credit card will be charged immediately for any products in the Order Now column and then again on the date you selected for the items in the Auto-ship column. This Auto-ship order will be sent to you at each interval (monthly, bimonthly or quarterly) you selected. When will my Auto-ship order be shipped? Your Auto-ship order will be shipped within 24 hours of your selected draft date. In the event the draft falls on a weekend or holiday, your order will be processed the next business day. How do I change or cancel my Auto-ship order? Simply go to the myEcon website where you signed up for the Auto-ship program, login using your secure Username and Password, the Auto-Ship Manager screen will appear. Click on the Edit button. You may now change your shipping information, billing information and/or change your order. If you are choosing to cancel your order simply click the cancel button. Note: All changes must be made at least 2 business days before your next draft day. How do I change my Auto-ship shipping or billing information? Can I postpone an Auto-ship order? Yes. You may postpone your Auto-ship order. To postpone an order, you must login, and then simply change the next draft date to the date you want your account to be drafted and the product shipped. Note: If you postpone and change a draft date, this will now become the new draft and ship date for your future orders. Note: All changes must be made at least 2 business days before your next draft day. Can I have multiple Auto-ship orders? Yes, there are no limitations to the number of Auto-ship orders you may have. In fact, you can have Auto-ship orders charged to your account and shipped directly to friends and family members. In addition, you may want to setup different Auto-ship orders for yourself if you have products you want shipped at different intervals. For example, you may want some products shipped to you every month and have others shipped every other month. Can I pay for my Auto-ship order by check? No, at this time, myEcon, Inc only accepts VISA, MasterCard, American Express and Discover credit cards for orders. What happens if my credit card order is declined? If your card is declined during your initial Auto-ship order setup, you will have to enter a valid credit card to complete the Auto-ship order process. If your card is declined after your initial Auto-ship order, no product will be shipped until a valid credit card is entered. You will be notified via email explaining the Auto-ship Order interruption. To receive your order right away, simply correct to reason for credit denial (correct expiration date, billing address, or enter another valid credit card). Your account will be immediately drafted and your product order will be shipped within 2 business days.